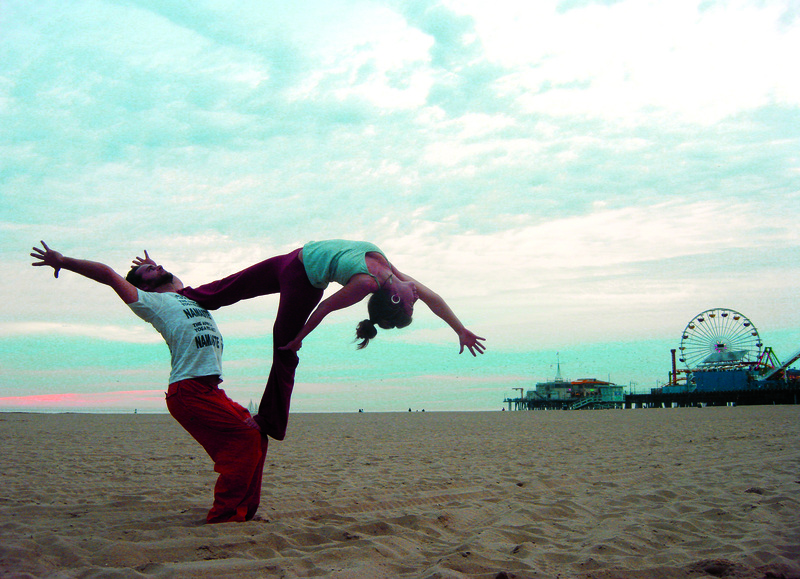 Jaqui teaches both Yoga Asana and AcroYoga. Yoga Asana is a term commonly used to describe the physical practice that trains the body in building strength, flexibility and stamina; in traditionally in preparation for meditation, Those who have practised even just a little bit of yoga will know its benefits are far-reaching and a wonderful complement to our busy often frantic schedules. If you’ve encountered yoga, it may have been called “Hatha” yoga, and this is the generic term used to describe the variety of physical yoga styles. There are numerous and growing range of styles and hybrids on offer but ones commonly available include Ashtanga Vinyasa, Anusara, Bikram, Yin, Shadow and Iyengar. The origins of yoga are over 2000 years old and often credited to Patajanli’s Yoga Sutras. In this ancient scripture, Patanjanli discussed the Eight Limbs of Ashtanga Yoga; the stages towards enlightenment. In the West, the Asana, Pranayama and Pratyahara are the most popular yogic practices. They represent the Third, Fourth and Fifth Limbs, respectively. Asana and Pranayama covers the physical practice of posture and breath control, whilst Pratyahara examines the withdrawal of the senses. According to the Yoga Sutras, the mastering of Asana and Pranyama generates the conditions for Pratyahara, which enables the capacity for meditation and ultimately the union of mind, body and soul. Unlike other forms of yoga, AcroYoga builds on the potential to connect with others, to build on a community and cultivate trust within an environment of safe play. Jaqui is available to teach one on one or in small private groups. Please email your request here.